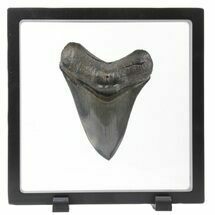 Here is a fossil tooth of a snaggle tooth shark (Hemipristis serra). 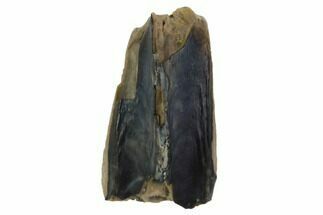 The tooth has very pronounced serrations and beautiful coloration. 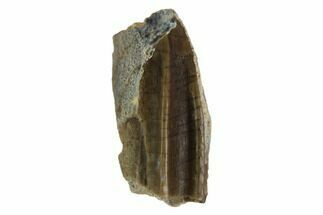 It was collected in Westmoreland County, Virginia and is Miocene in age. Comes with an acrylic bubble case. 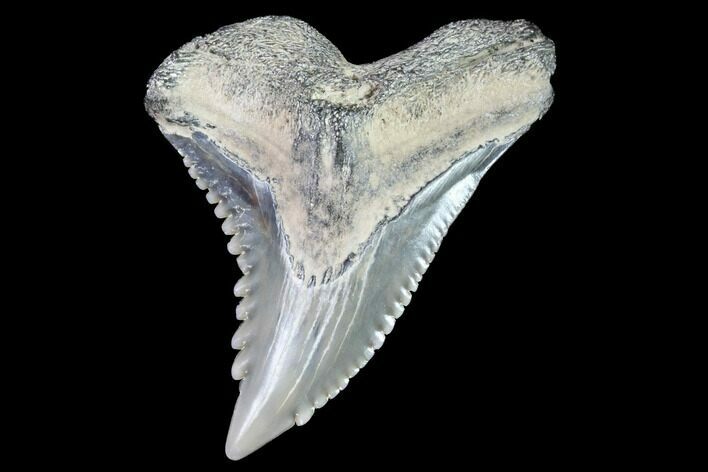 Hemipristis teeth are some of the most beautiful and horrifying dentition in the entire shark world. 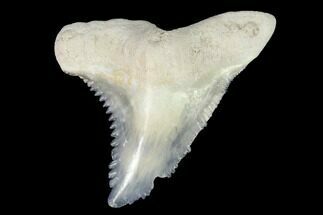 Hemipristis, known as the snaggletooth sharks, belong to a genus of weasel sharks. 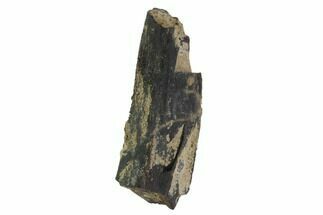 The genus Hemipristis contains one surviving species, as well as several extinct species. Hemipristis use their morbid grin as an instrument of death. 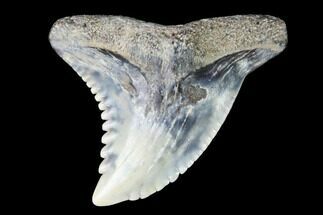 It hooks and slices prey using two distinct types of teeth in each section of its jaw. 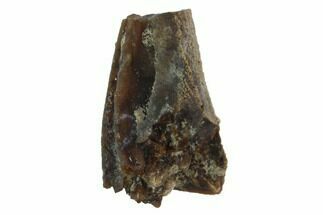 The broad, triangular teeth on the upper jaw act as serrated knives, cutting through the flesh of the prey. The pointed ones on the bottom act like forks, spearing the prey and holding it down. They have very long, strongly hooked cusps and protrude when the mouth is closed. 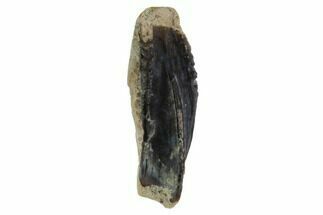 Giant snaggletooth sharks that terrorized the Atlantic Ocean during the Tertiary were considerably larger than their modern relatives. Marks made by the teeth of H. serra are often found on the bones of the manatee Metaxytherium, suggesting that H. serra had an affinity for sirenians (Sea Cows). Miocene (33.9-5.2 mya) of Florida, South Carolina, and other areas on the Atlantic coast. Hemispristis preferred warm water. As the temperature of the oceans cooled with the approach of the Pliocene, Hemispristis retreated from northern latitudes before becoming extinct. 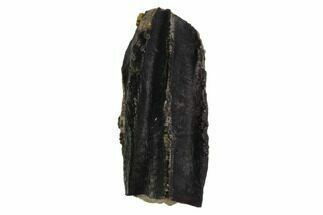 Hemipristis teeth are coveted for the exotic shape and beautiful color. 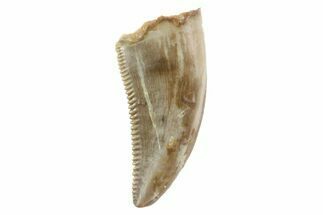 Teeth from the southern Atlantic Coast are especially prized.